After an absence of 19 years, the legendary Emerson String Quartet makes a long-awaited return to Australian concert halls. 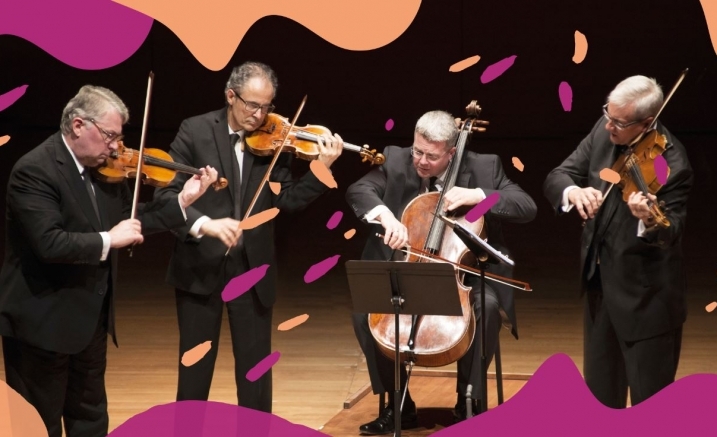 Perhaps the most celebrated string quartet ever to emerge from the USA, the Emerson String Quartet is making its first Australian tour in over 19 years. Founded in 1976 and with only one personnel change in all that time, the ensemble has stacked up more than 30 recordings and countless awards. With such a pedigree, it is no surprise that the Emersons play with masterly warmth and ease: a spontaneous confidence and joy. Naturally enough, a master string quartet has chosen to play two programs of great masterpieces. Mozart, Haydn and Beethoven were writing with their audience very much in mind, and their quartets are full of attention-grabbing highlights and dreamy slow movements, while the vitality of folk music shapes the quartets of Dvořák and Bartók. Shostakovich’s Fifth Quartet did not appear until after the death of Stalin, when its icy, wintry darkness could at last be safely brought into the light.